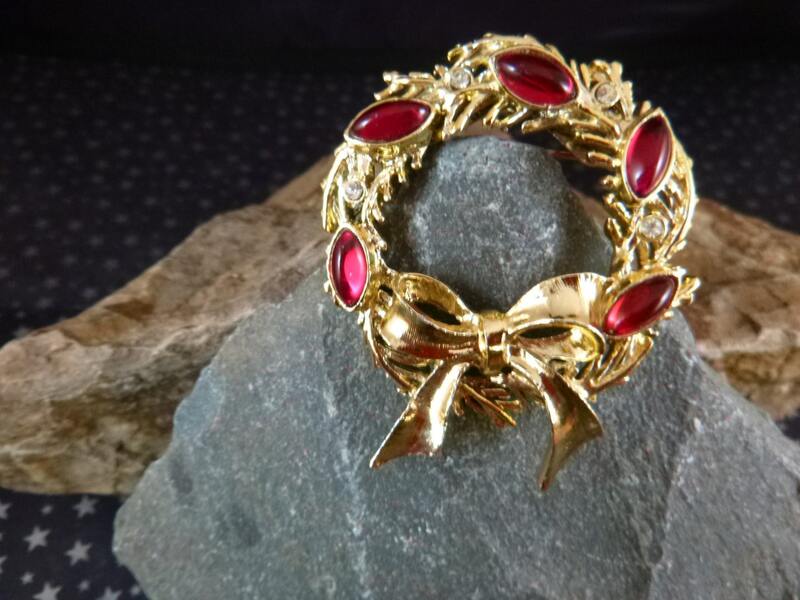 This holiday wreath vintage brooch has a dramatic and festive design. Five large red navette glass stones, interspersed with clear rhinestones are nestled in the branches and tied with a bow. The red color and quality of the pin make it a standout. On the back of the pin is the maker’s mark, “Tancer II”. 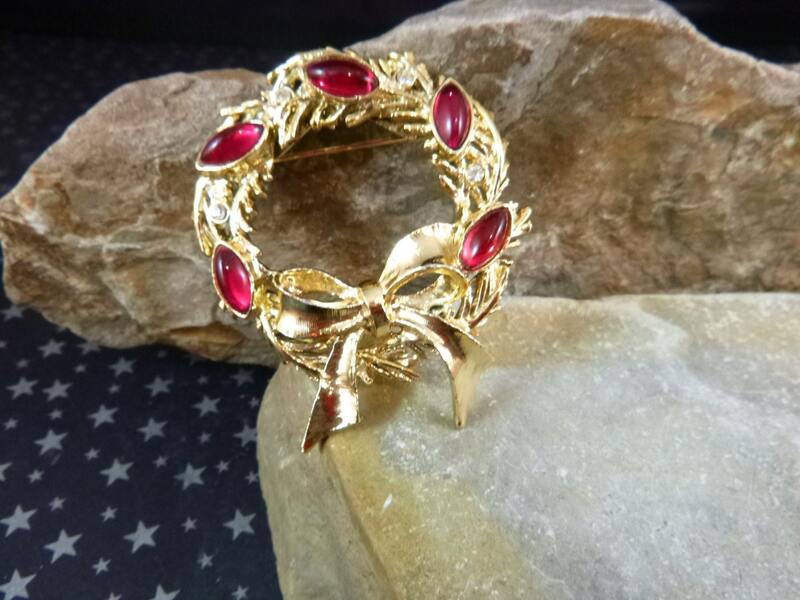 Tancer was a division of Coro jewelry, established in l971 by Michael Tancer and two sisters, Lynne Gordon and Marge Borofsky, who originally founded Mylu. The name stands for Tancer and Two. It is unclear when they ceased manufacturing, although their parent company, Coro, went out of business in l979. Given those company dates, it is likely this tree is from the l970s. 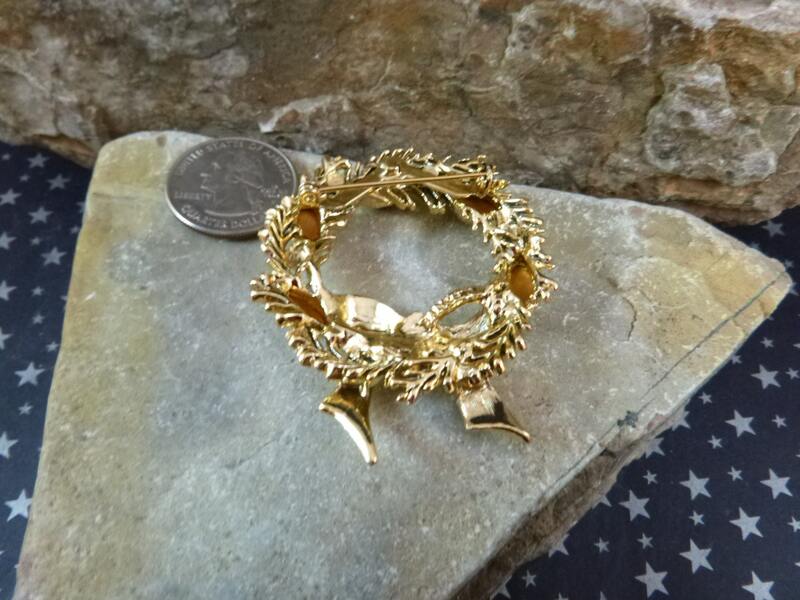 The wreath measures 1.75” in width and 2” high. Overall it’s in excellent vintage condition and appears to have been rarely worn. 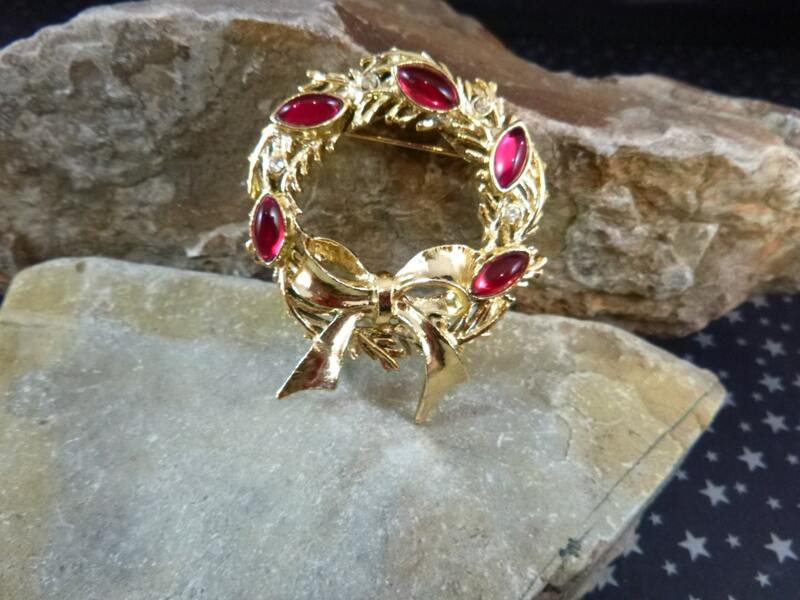 The stones are bright and intact, as is the gold tone metal; the clasp and pin are strong and secure. 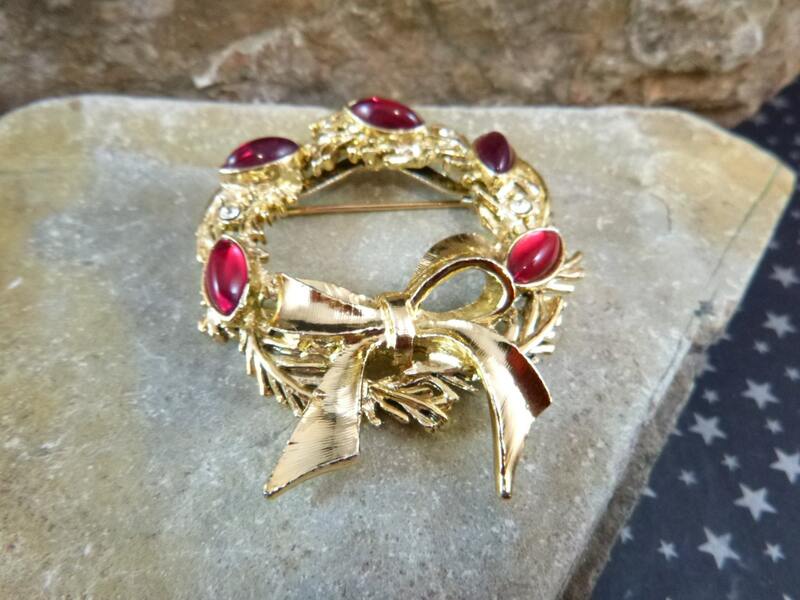 Whether you’re a holiday enthusiast or Christmas lover, this festive, exceptional wreath brooch is charming. The pictures offer greater perspective on its condition and overall vintage beauty.